We have years of experience working in the foreign exchange industry and, if we have learned anything, it is that despite what anybody might claim, nobody knows what is going to happen to any given currency pairing from one day to the next. The sad truth is there is no magic crystal ball to consult – we are often asked what is going to happen to the US dollar six months from now and we hold our hands up – we don’t know and neither does anybody else. At their best, currency forecasts can be considered useful guides to what could happen. At their worst, they are dangerous if you make a decision based on them that turns out to be wrong. 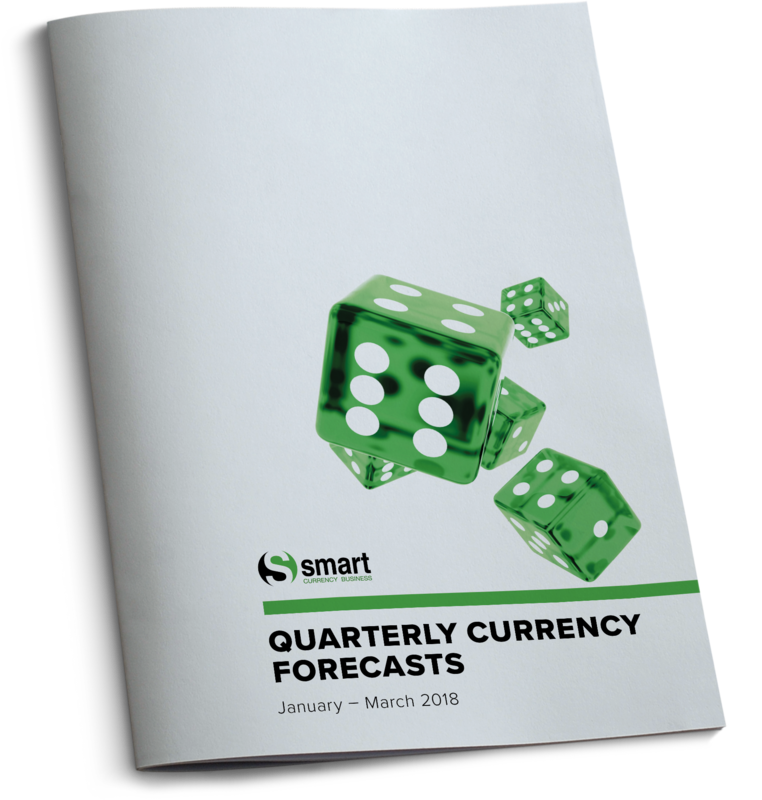 It might strike you as ironic that inside our latest quarterly currency forecasts, we are essentially saying they are not worth the paper they’re written on. However, while that statement is made with tongue firmly in cheek, it does help underline how they should be treated with caution. If the major banks can’t even decide on what is going to happen to a currency pairing over the next year, then what chance do the rest of us have? We have provided some detailed insight into some of the political and economic events that could influence currency movements over the next three months and beyond. In what direction is anybody’s guess, but it should provide you with some food for thought. In addition, you’ll find a summary of the key events of 2017, some of the economic factors to watch out for in the UK, Europe and US, forecast charts, major bank currency forecasts for the next 12 months, and some useful resources. Speaking of resources, why not head over to our Treasury Management White Paper page and download that?